'Start Here': Hurricane Florence preparations, Donald Trump Jr. opens up and Dallas police shooting. What you need to know to start your day. Millions along the east coast are preparing for what could be a deadly storm. Hurricane Florence is barreling toward the East Coast and mandatory evacuations have been ordered for more than 1.5 million people in its path. Some forecasters believe the Category 4 hurricane could look a lot like last year's Hurricane Harvey, which was held in place by a high-pressure system, stalled over land and dumped catastrophic amounts of rain. ABC News' Jim Ryan, who reported on Harvey, joins us from Wilmington, North Carolina, where Carolinians are preparing for a storm they haven't experienced in decades. Harvey tied Hurricane Katrina last year as the costliest hurricane ever in the U.S. Is there a pattern of hurricanes getting more destructive? ABC News Chief Meteorologist Ginger Zee tells us to focus on the constant development in the country: "We have changed the surface of our planet, made it less permeable. ... When you give [a hurricane] asphalt versus a swamp, you're going to make a river out of a road." How many people in the White House does President Donald Trump actually trust? 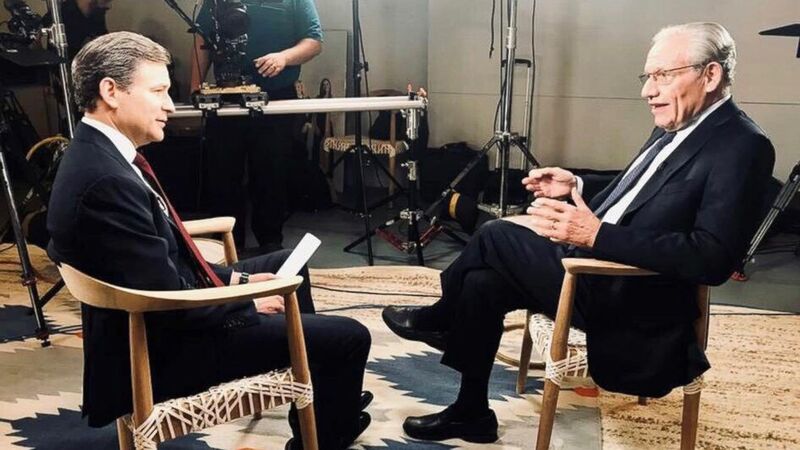 ABC News White House correspondent Tara Palmeri spoke to Donald Trump Jr., who said his father “doesn’t trust many people outside of the family” in the wake of Bob Woodward’s new book and the anonymous New York Times op-ed. 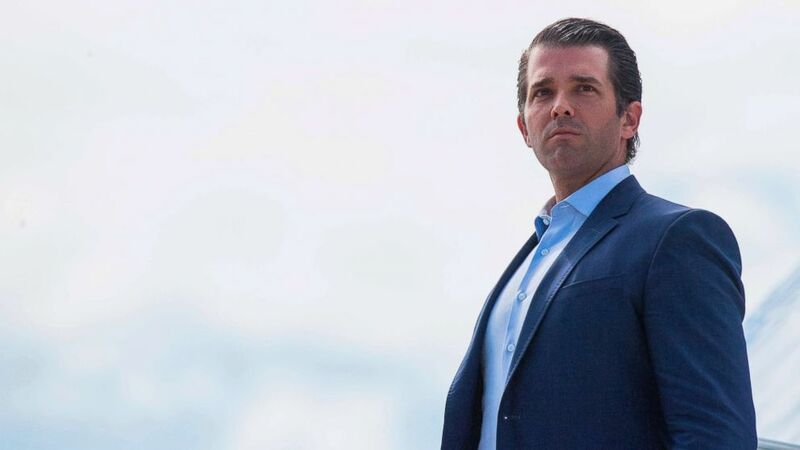 (Jim Watson/AFP/Getty Images) Donald Trump Jr., walks off Air Force One in Great Falls, Montana, on July 5, 2018. 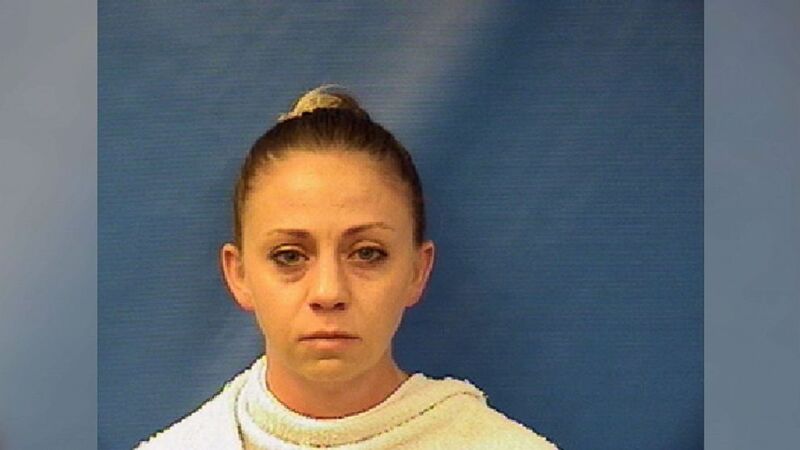 Officer Amber Guyger, a white Dallas police officer, shot and killed 26-year-old Botham Jean, who was black, in his own apartment. Guyger claims she thought it was her home and Jean was an intruder, but his lawyers say they have witnesses who contradict the police officer's story. It’s the latest officer-involved shooting in the headlines and it’s prompted more questions than answers. ABC News' Marcus Moore breaks down the case from Dallas. (Kaufman County Jail) Amber Renee Guyger appears in this mugshot provided by the Kaufman County Jail. Cougar attack: Hiker found dead on Mount Hood was likely killed by cougar, officials say: The hiker who went missing on Mount Hood in late August and was found dead at the bottom of a ravine Monday was likely killed by a cougar, authorities said -- a shocking twist in the missing persons case. The body of Diana Bober, 55, was found Monday at the bottom of a 200-foot embankment on the famous Oregon mountain's Hunchback Trail, the Clackamas County Sheriff’s Office said Tuesday. Miracle landing: Teen pilot 'freaked out a little bit' while preparing to land damaged plane: A teenage pilot who successfully landed her small plane after losing a wheel on her first-ever solo flight said she "freaked out a little bit" after someone on the ground radioed she'd lost the landing gear. Maggie Taraska, 17, was on her first solo cross-country flight at her local airport in Beverly, Massachusetts, headed for Portland, Maine, when the possible disaster unfolded. "I got really scared, nervous, obviously," she told ABC News. "I had done emergency procedures before, but you don't do them if you lose a wheel." Famous failure: Bernie Sanders' son struggles as Pappas wins New Hampshire primary: Chris Pappas was projected to win Tuesday night's Democratic primary for the 1st Congressional District, according to The Associated Press, besting the son of a marquee name in the party, in order to go up against GOP winner Eddie Edwards in November. The congressional primary featured a crowded field of 11 Democratic candidates, including Levi Sanders, the son of 2016 presidential candidate Bernie Sanders. Solemn anniversary: 9/11 survivor who donated shoes to museum shares hope on day of remembrance: Seventeen years after 9/11, survivor Florence Jones shared her thoughts as people all over the world remembered the lives lost that day. "I hope that it doesn't just become a date on the calendar," she told ABC News. "I hope people do something, you know, maybe in service, in volunteer work." Sad end to search: Boyfriend to be charged with murder of Phoenix teen who disappeared last month: An Arizona man is facing murder charges over his teenage ex-girlfriend's death after police found her body in a rural desert area last week. Investigators in Phoenix recommended on Tuesday that Jon Christopher Clark, 23, be charged in the death of his ex-girlfriend, 19-year-old Kiera Bergman, whose remains were recovered nearly a month after she was reported missing, police said. Bergman hadn't been seen since she left work with Clark on Aug. 4. Does Obama motivate Democrats anymore? Or just Republicans? Bob Woodward on 'Fear,' his new book that has President Trump enraged: Woodward's new book claims to take the reader inside the White House during key moments of the Trump presidency. 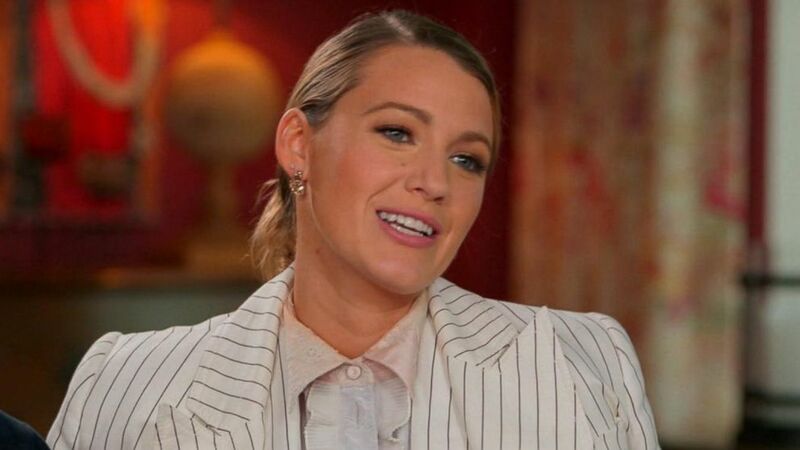 'A Simple Favor' cast on the film's love triangle, what it was like behind the scenes: Blake Lively, Anna Kendrick and Henry Golding discuss working with director Paul Feig and how they're different from the characters they play in the film. Blake Lively, Anna Kendrick and Henry Golding discuss working with director Paul Feig and how they're different from the characters they play in the film. Sept. 12, 2012 -- An assault was carried out on the U.S. consulate in Libya. Americans were under attack for five hours. Four were killed in the attack. 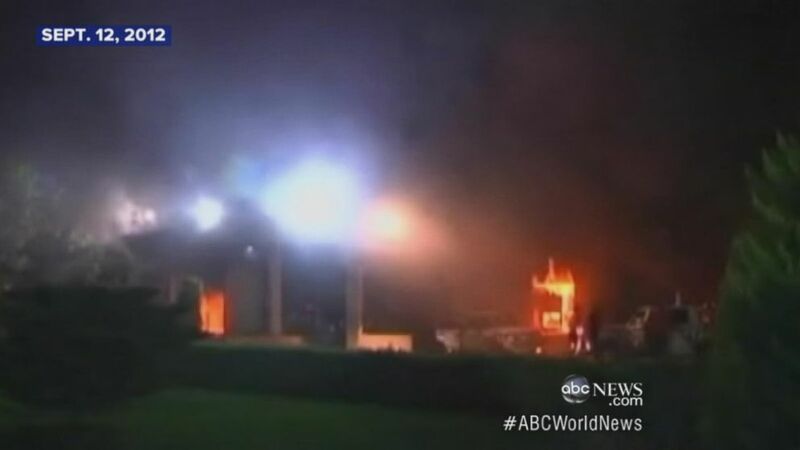 The U.S. consulate in Libya is attacked. 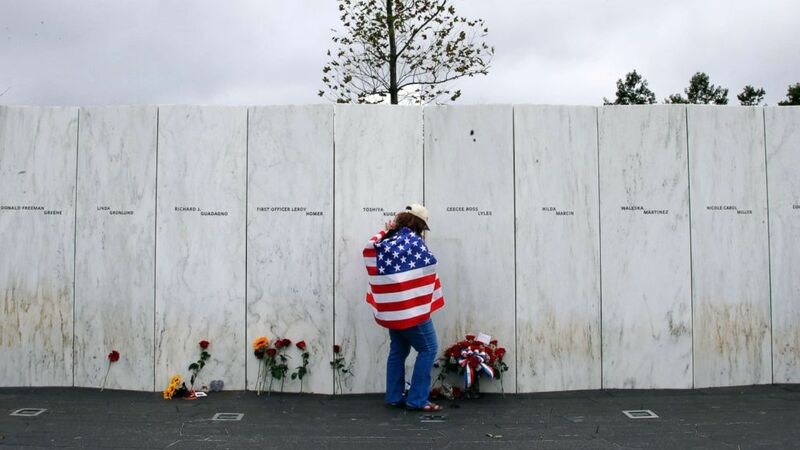 (Gene J. Puskar/AP) Chrissy Bortz of Latrobe, Pa., pays her respects at the Wall of Names at the Flight 93 National Memorial in Shanksville, Pa. after a Service of Remembrance, Sept. 11, 2018, as the nation marks the 17th anniversary of the Sept. 11, 2001 attacks. Watch what happens after a store clerk collapses from an apparent medical issue in front of a group of customers. Hint: The men didn't help the clerk. 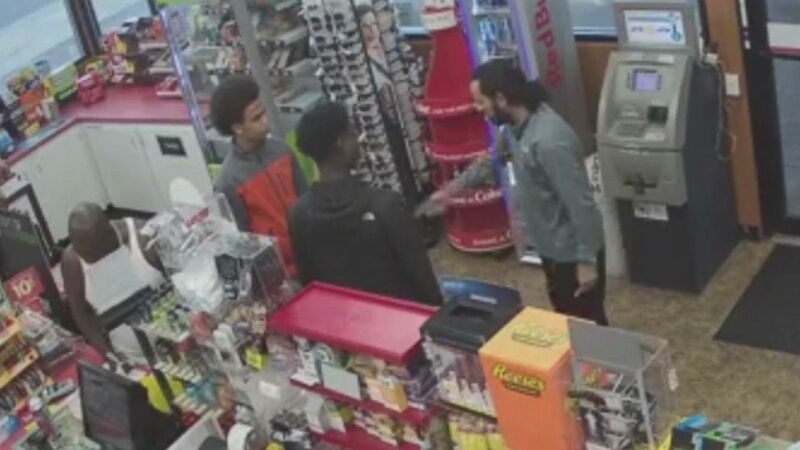 Police in Auburn, Washington, are searching for 2 teens plus an older man while clerk fights for his life. Alright, you're off and running. You can always get the latest news on ABCNews.com and on the ABC News app. Details on how to subscribe to the "Start Here" podcast are below. See you tomorrow!